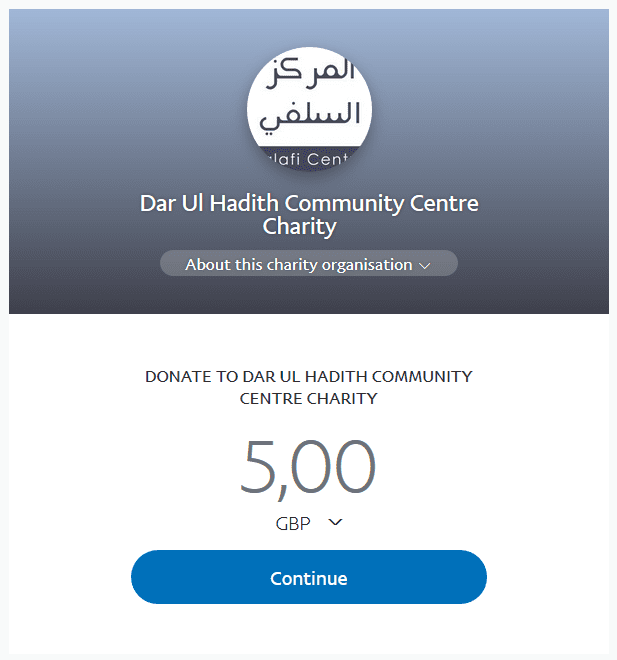 Ramadhaan Masjid Improvement & Maintenance Appeal – Donate Without Delay! It is by the permission of Allah that we have been allowed to reach this Ramadhaan. So we thank him for this great blessing and we urge ourselves and yourselves to take full advantage of this month. New carpets in both men’s & women’s sections, enabling us to replace a 13 year old carpet, and making use of all the space available to us. A brand new sound system, for all corners of the masjid building; from inside the men’s side, up to the flat and out to the cabin, enabling us to pray in all rooms when required. New Double Interior doors, to increase traffic flow in and out of the masjid, especially during Jumua, Eid and during lesson, events and conferences. New fire safe Entrance Doors, on both men’s and women’s side. Painting of the exterior of the Masjid. New windows fitted on sisters side allowing natural light and improved airflow; especially useful with the busy sister’s section during tarawee’ and summer. Improved hot water heating system, with zonal heating to provide maximum efficiency (currently being installed). Additional fire exits for brothers and sisters, to improve safety and flow (currently being installed). Purchase and refurbishment of an outdoor double classroom. Purchase and refurbishment of an outdoor classroom. Successfully set up a Tuition Club providing an option for home schooling parents, who need support (www.tuitionclub.org). Those who regularly attend have benefited from all of the above; and the masjid is now a more comfortable place, able to accommodate increased number of attendees, who come and listen to the khutbahs and lessons; learning tawheed and sunnah. Likewise the number of children attending Qur’an class and Saturday Madrasah has increased, with more and more able to learn the correct Aqeedah and Manhaj, as well as Salah, Wudhu and other things from Fiqh. But our work isn’t complete and needs funds for further maintenance works and improvements. with such high numbers of attendees, including both women and children, the masjid can become very full and hot (as witnessed by many during our recent conference). We need to continue improving airflow, but completing windows and installing an air conditioning system for both brothers and sisters. 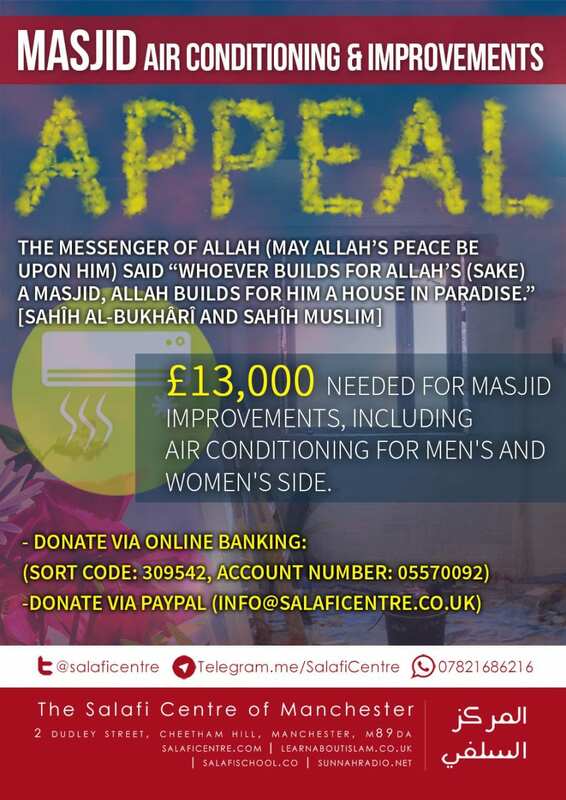 So for those who can then please donate generously towards the building of our masjid and its improvements. And we ask that Allah rewards you immensely for building and improving his house, for his sake.